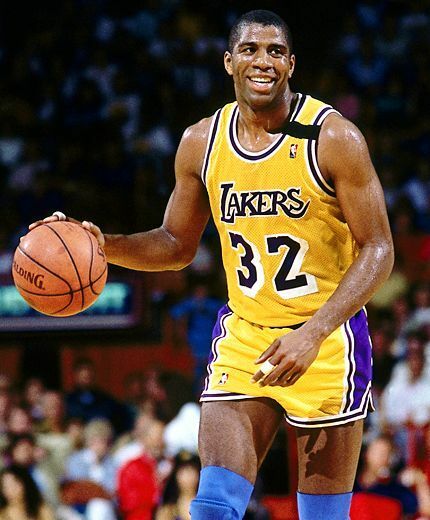 Earvin "Magic" Johnson Jr. (Lansing (Michigan), Augustus 14, 1959) is one of the most successful American basketball players of all time. 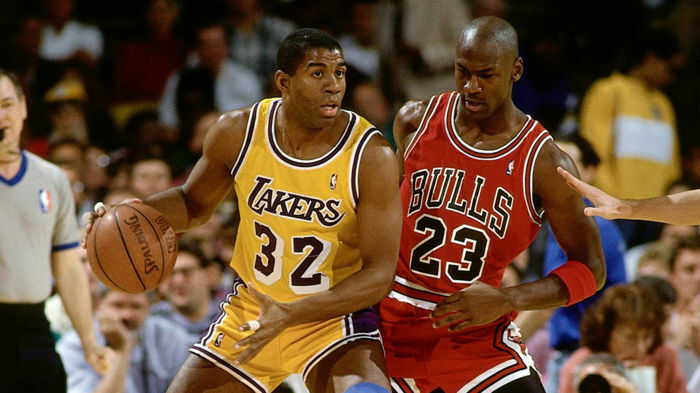 He played as point guard for the Los Angeles Lakers where he was most successful. 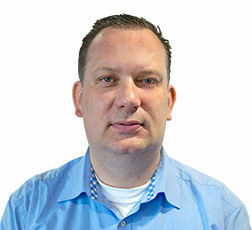 Together with Larry Bird (from the Boston Celtics), he is perceived as one of the exponents that made professional basketball interesting again for the media. 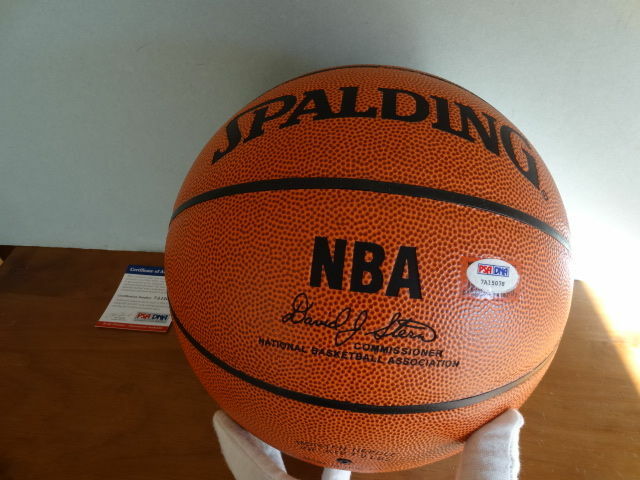 Magic Johnson stunning original signed official NBA Spalding Basketball, 29.5 inch. 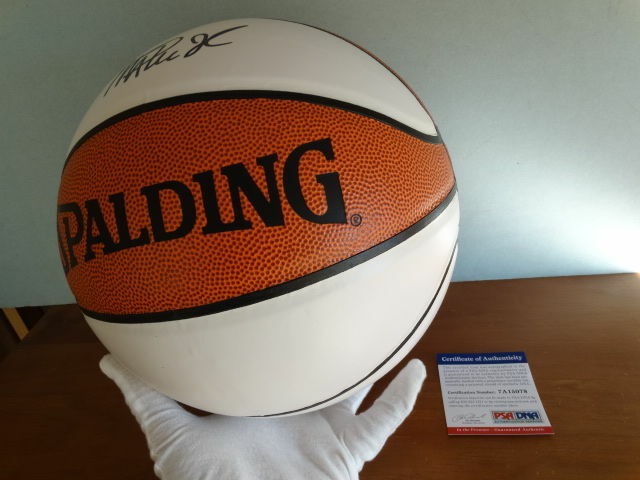 This is a new and unused official NBA Spalding basketball.The ball is hand signed beautifully with black marker by the legendary Magic Johnson. 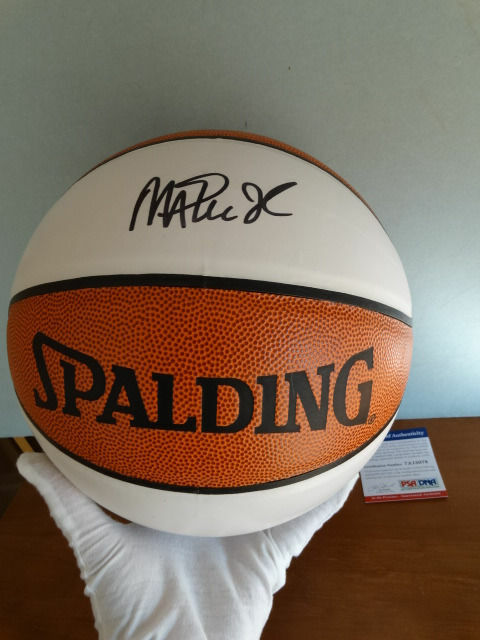 The signature really pops off the ball. 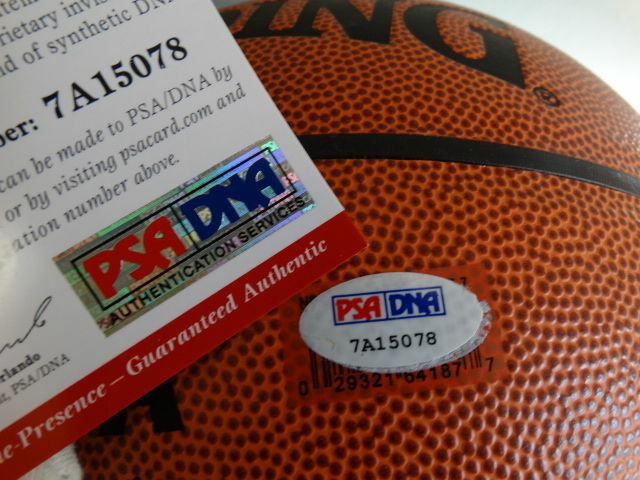 An unique PSA numbered sticker and COA on the bal This number can be verified on the website of PSA. 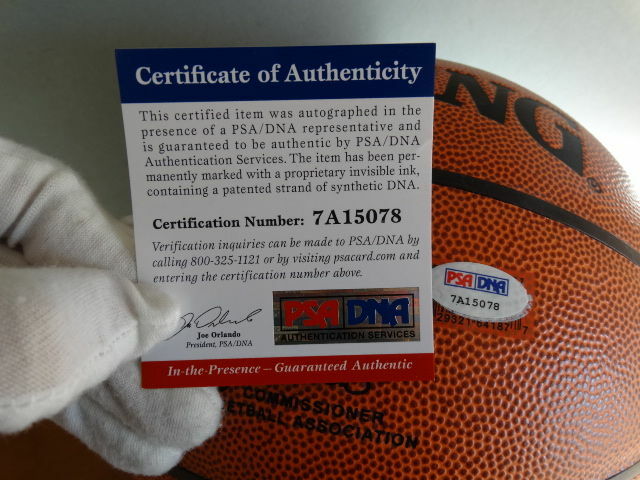 Good luck bidding!